The good news is that Microsoft and Google appear to be working together on a solution. 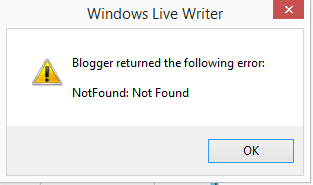 It would seem that desktop tool that publish to Blogger are now not working! Google knows about the issue and is apparently looking to fix it but it’s now been three days and no resolution! I had a mega post on Azure AD sync lined up but until this is fixed not much I can really do. Tally Ho Google. Please fix asap! and I’ll warn you that I’m going to rather brutal in what I present here. My focus is on looking forward not back and looking for a business model that will be sustainable now and into the foreseeable future. That, no doubt, will challenge a lot of conventional thinking but I really believe that is what is called for in the SMB technology reseller space these days. The game has changed which brings both threats and opportunities and understanding both is key. If you want to get both barrels from my no holds bared presentation as well as some great insight for a score of other really smart and talented presenters then sign up for Karl’s conference today. One of the most powerful applications just about every business has at their fingertips is Excel. What this product can do is truly amazing when you explore it fully. The downside is that most people use less than ten percentage of the product capabilities. Some of the more advanced features of Excel are Pivot tables. In essence, these allow you to create basic data cubes to easily slice and dice your raw data to create information that has value and provide insight. Sadly again, few people even know what Pivot tables are, let alone even used them. The growing demand in our increasing data driven world is having a method of producing meaningful information from a vast array of raw data input sources. 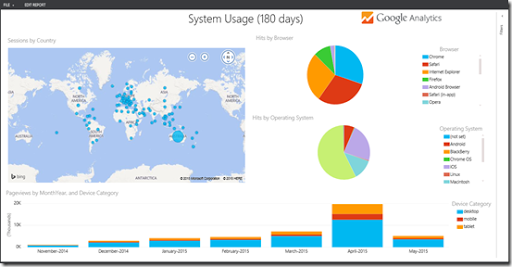 Microsoft is providing such a solution in the form of PowerBI. As interesting as that is it is a little abstract. 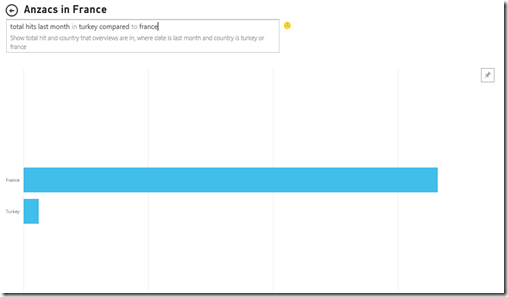 Where you begin to appreciate the role that PowerBI can play for you is when you select the option to Get Data. 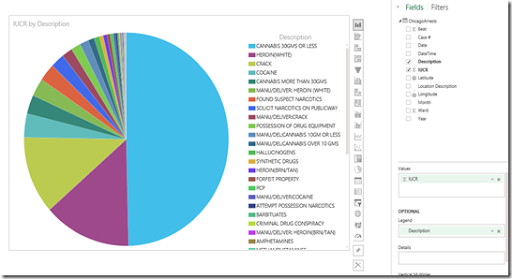 Here you’ll now see a variety of sources that PowerBi can report on. One of the options you’ll see from the above screen shot is Google Analytics web data. When you connect up your Google Analytics you’ll get a new dashboard, as you see above, with all of the information about your web site. In this case, I’m look at data from my www.anzacsinfrance.com web site. 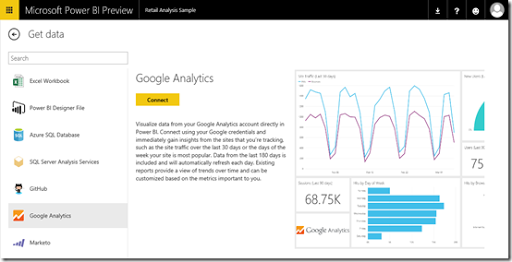 At the top of the dashboard you’ll see a box into which you can type a free form query. So if I type “total hits” the dashboard automatically shows me the result as you see above. If I now extend that query to “total hits last month” the result is immediately updated and displayed as shown above. If I extend that further to “total hits last month in turkey” I see a result of 6 website views from Turkey in the last month. If I extend that once more to “total hits last month in turkey compared to france” i now get a graph as shown above. Hopefully, you can see the possibilities and the depth of reporting that is possible. And of course you can pin these queries to your dashboard so they display upon your return. Apart from the adhoc dashboard you can create multi page reports. The above is an example from my web site data. Again, you can customise these easily in the web browser or download the PowerBI Designer for your desktop. As you saw earlier, one of the data sources I can use is a plain old Excel file, uploaded from your desktop or saved in OneDrive consumer or OneDrive for Business. Once the spreadsheet is available to PowerBI, now you can start creating reports based on the Excel Pivot tables I alluded to earlier. You do this by simply dragging and dropping the desired column heading into the appropriate locations (axis, vales, etc). The difference here is that I am doing this in a browser in a way that I can pin the result to a dashboard and report. I can also now quickly and easily change the style of graph that is display, change the data I report on, create more results on the page or create additional pages effortlessly. I can also easily share my dashboards with others when they are complete. 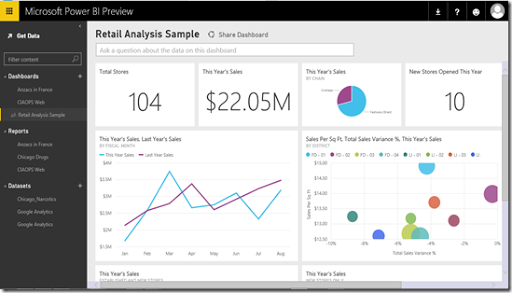 Microsoft is announcing more and more options for data sources with PowerBI. 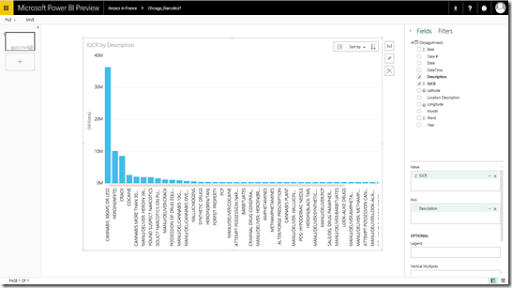 One of the upcoming options will be analytics from Office 365 with the soon to be released Office 365 content pack for PowerBI. Which should allow you to produce report from Office 365 like you see in the above screen shot taken from the announcement blog post. 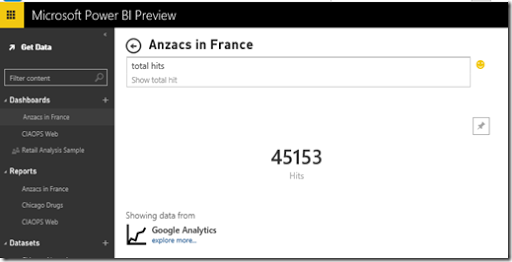 At the core of PowerBi is the concept of data sets. Raw data sets are ordered by Excel style Pivot tables with the results being surfaced through PowerBI. Thus, to get meaningful results you need to understand Excel Pivot tables. If you don’t now might be the time to fire up that version of Excel and start learning! 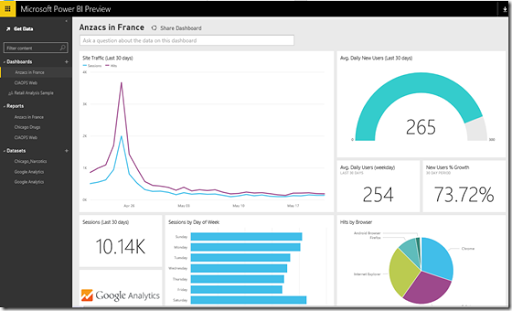 Hopefully, giving you this small inkling of what is possible with PowerBI will inspire you to dive into the product and learn what it can offer. I know I am and am amazed everyday with what is possible and will be detailing more in upcoming posts. 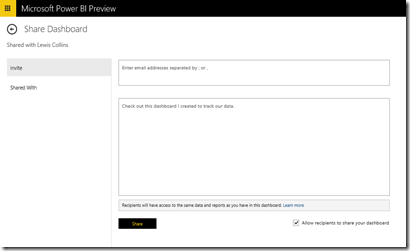 Given that it is also in preview and free to access is an even better reason not to hesitate but to dive in now and power up with PowerBI. 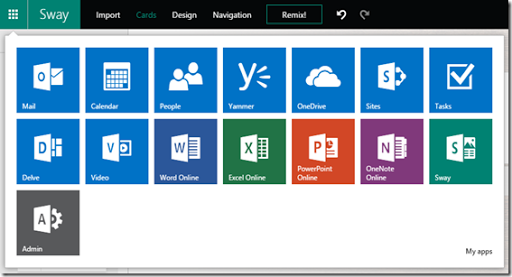 Still working through all the recent Microsoft Ignite content but here are some handy links for troubleshooting OneDrive for Business that I’ll share. A while back I posted how I had jumped the gun on wanting the First Release option of Office 365 being restricted to certain users inside an IOffice 365 tenant (mainly to restrict the potential use of Office 2016 Preview). The good news is as you can see from the above it has arrived in my tenant. 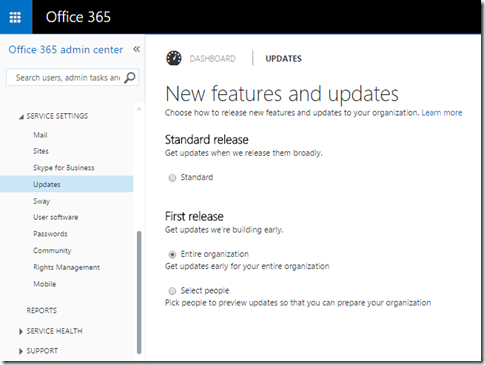 To access it you login to Office 365 as an administrator and then select Service Settings, Updates from the admin portal. You will now see the option to be on the Standard release (slower) or First release (faster) when it comes to new Office 365 features. You’ll also see the option, if you select First release, to select those people in your organisation who will receive First release features, leaving the remainder on the standard release path. This allows you to elect a subset of users within your Office 365 tenant who can access the new features without them becoming available to everyone immediately. Seems like Sway has now made it into my Office 365 tenant as you can see from the apps launcher at the top of Office 365. You will also find some control options under Service Settings, Sway as shown above. but as you can see from the above screen shot you can still navigate to any Office 365 using the app launcher. 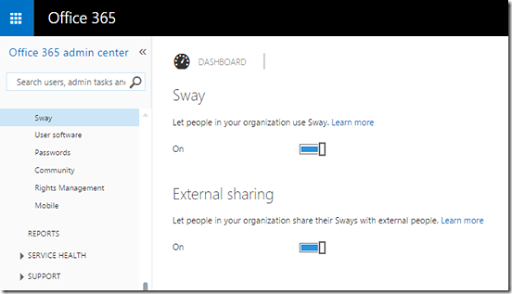 Given what I see here and Sway having a free offering, it wouldn’t surprise me if we see some premium Sway features arrive and be included with Office 365 plans. Just speculating mind you. 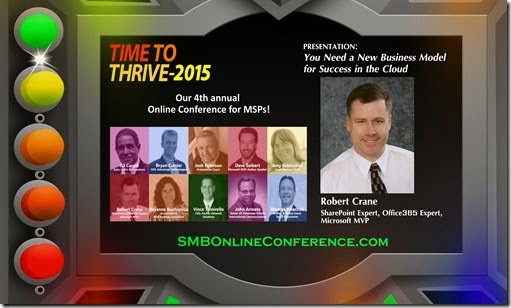 So if you have Office 365, have a look and see whether you can Sway yet. if you can, give it a go. 1. Latest version of my Office 365 bootcamp notes. This OneNote notebook is something I use everyday to capture information about Office 365. It is my reference ‘bible’ covering everything from Exchange to Sharepoint, Delve to Single Sign on as well as troubleshooting, best practices and a range of PowerShell scripts and third party solutions that work with Office 365. 2. Latest version of my Azure bootcamp notes. This OneNote notebook contains my daily brain dump about Azure. It contains links, information, tutorials and more. Again, this is something I use everyday and update constantly. 3. Exam cram notes for the Office 365 70-347 and 70-346 exam. It contains information and links to help you pass the exam. It also has a number of practice exam questions to give you an idea of what might be covered in an exam. 4. 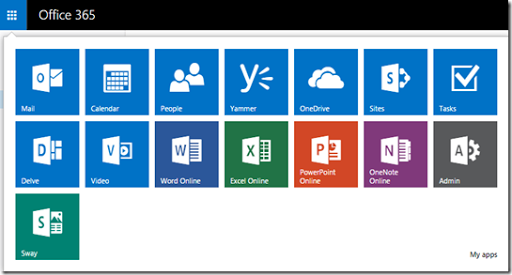 Five (5) supporting Office 365 checklists and templates that you can use for your Office 365 implementation. These documents are in various Office formats (Word, Excel, etc). where you’ll get immediate access to the latest versions plus heaps of other unique on demand training, cheat sheets, re-brandable content, articles AND access to the members forums to converse with other cloud resellers. for AU $148. This purchase will also entitle you to a 12 monthly subscription for updates to these products (generally updated monthly). If nothing else, those bootcamp notes are going to provide a centralised and searchable way to locate just about anything to do with Office 365 and Azure. This will save you inordinate amounts of time and easily pay for your outlay. You’ll also get free updates for to all of these for 12 months once you purchase. Like I said, I use these notebooks EVERY DAY. Please support this material so I can continue creating more.